oftwominds-Charles Hugh Smith: What Are the Odds that the 2020-2022 Olympics Will Be Cancelled? What Are the Odds that the 2020-2022 Olympics Will Be Cancelled? It's tough to pay for an Olympics when 95% of your supposed "wealth" has vanished. In the modern era (1896-present), the Olympics have only been cancelled in wartime: 1916 (World War I), 1940 and 1944 (World War II). But world war is not the only circumstance that could derail the Olympics; a global crisis in energy, finance or geopolitics could send the risks and costs of the Olympics beyond the reach of most participants. 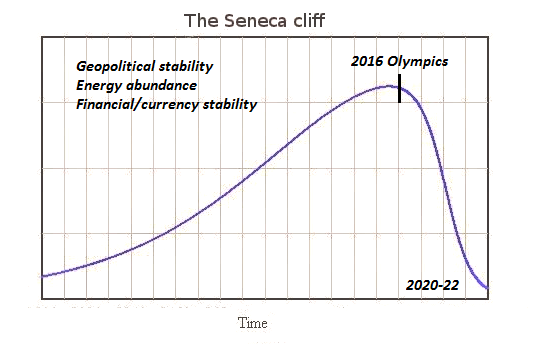 The key to understanding the odds of an Olympic cancellation is Liebig’s Law of the Minimum, which states states that "growth is controlled not by the total amount of resources available, but by the scarcest resource." The current confidence that everything will remain stable for years to come is based on a misleading extrapolation of current trends. Just because the global status quo has managed to maintain a facade or normalcy for the past eight years does not mean the New Normal (central banks pumping $180 billion a month into the global financial system to keep it afloat) is identical with the pre-crisis Old Normal. The reality is the status quo has been forced to increase its interventions just to maintain the steady-state facade of normalcy. This constant increase of resources being devoted to prop up an unsustainable system is not consequence-free; the effort generates unintended consequences and increases the systemic risks. The status quo must then ramp up its interventions and manipulations to compensate for the strains and risks breaking through the carefully managed facade of normalcy. War is not the only possible disruptor of the 2020-2022 Olympics. Geopolitical tensions could rise to the point that boycotts effectively gut the Olympics. Global disruptions of energy (severe shortages and soaring costs) could put the Olympics out of reach for many participants--and of course these two risks are connected. Energy shortages and geopolitical conflicts go hand in hand. A funny thing happens in a severe currency crisis: 95% of the phantom wealth suddenly disappears. The value of fiat currencies is established by a number of factors, but the primary one is demand for the currency, which is tied to participants' trust that the currency will retain its current value (or appreciate) going forward. Once that trust is lost, the downward spiral creates panic selling. In the current narrative, central banks can always "save the day" by printing money or opening the floodgates of unlimited credit. The problem won't be a lack of currency or credit--the problem will be a scarcity of trustworthy collateral to back up the credit and currency. If the value of the collateral is impaired, the credit leveraged on the collateral will also be impaired. In other words, a loss of faith in a currency cannot be reversed when faith in the central bank's magical powers has also been lost. 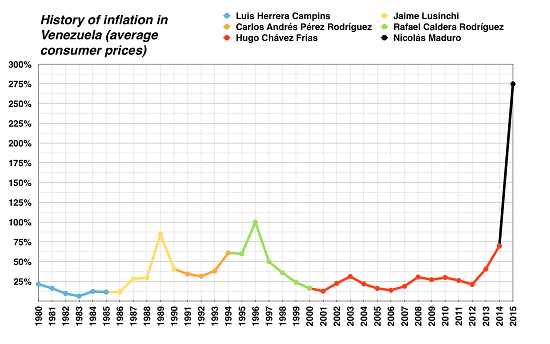 The dramatic decline in the purchasing power of Venezuela's currency offers a modern-day example of what happens to phantom wealth in a currency crisis. It's tough to pay for an Olympics when 95% of your supposed "wealth" has vanished. To save face, the host nation may attempt a severely truncated Olympics with a few participants and mostly empty venues, but the reality will be visible to all: it would have been better to cancel the Olympics and avoid the embarrassment of a failed show crippled by scarcities. 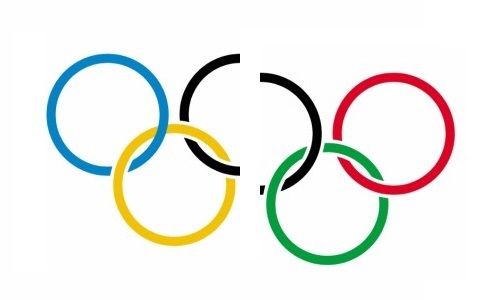 What are the odds that the 2020-2022 Olympics will be cancelled (or completely distrupted)? A lot higher than most people think. Thank you, Bob Z. ($125), for your outrageously generous contribution to this site-- I am greatly honored by your steadfast support and readership.